There's nothing more exciting (and challenging) than for a Jew to find Yeshua! Each of us has our own extraordinary story, how God in His love and faithfulness revealed the truth to us. Do you have a story? Come share it with us. Is yours incomplete? Perhaps we can help you find some answers. With the goal of shaping talmidim (students, followers) of Yeshua who can impact the world with God's love and power, our vision extends nationally and internationally, far beyond our congregational borders. Join us for one of our Saturday morning services or holiday observance celebrations. Enjoy worship in a contemporary and traditional Messianic style in a Jewish-Christian atmosphere, with relevant Biblical teaching from the Hebrew Scriptures. Rabbi Ken Alpren has over 35 years in ministry. In that time he’s been involved in congregation planting, hosting television and radio programs, serving in missions at home and abroad, spending ten years, serving as the President of the Southern Baptist Messianic Fellowship, and many other ministry positions. Presently, Rabbi Alpren serves on the Board of Directors of the Operation Andrew Group. He and his wife Frances live in Franklin and have four grown children. Sean and his wife Eliza came to Kol Dodi in 2007. 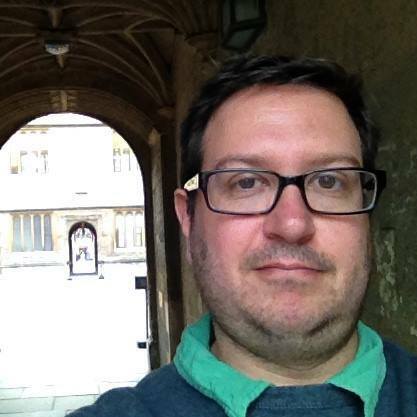 Sean graduated from Vanderbilt University Divinity School in 2009 and received a PhD in History at Vanderbilt studying religion and politics in late medieval and Reformation England. Sean teaches several courses at KDI, from history to biblical studies and theology, and loves learning and the life of the mind and believes those things can enrich one's spiritual life. Sean and his wife Eliza love traveling, adventure and reading as well as their Basset Hound, Moses. Jason and Kristi are California transplants since 2005 and made Kol Dodi their home in 2014. Jason has been involved in various music ministries for 20 years and Kristi spent the good part of a decade photographing weddings and families. They live in Murfreesboro, where they homeschool their 3 children. They are passionate about many things, but strive to focus on whatever the Lord places in their path. They take their love of apologetics, music and ministry with them wherever He leads. Currently, they are blessed to be used in Kol Dodi's Zik, young adults ministry and on the worship team. As Children’s Director, the emphasis has been on a happy childhood for the children, learning to love the Scriptures, and appreciating Jewish heritage. Mary Harvey Finley assists using her 29 years of experience teaching elementary school and a Masters in Special Education from Peabody-Vanderbilt. Owen worked as an Assistant Scoutmaster with the Boy Scouts for 10 years, has a BA in History, and studied at Vanderbilt Divinity School.